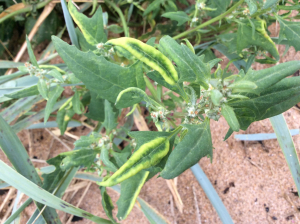 Tightly rolled and thickened leaf edges on Atriplex. Affected areas much paler than host plant. Spotted at the top of the sand dunes.